The new addition to Eggfartopia has arrived! 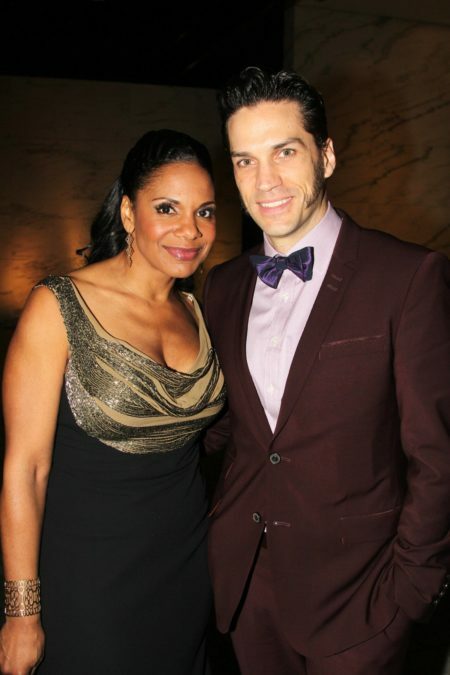 Six-time Tony winner Audra McDonald and her hubby Will Swenson have welcomed a baby girl to their family. Named Sally James McDonald-Swenson, she was born on October 19 at 11:16 PM. "Our hearts are bursting," Mcdonald tweeted. McDonald discovered she was pregnant while appearing in Broadway's Shuffle Along and thus postponed her West End debut this summer in Lady Day at Emerson’s Bar & Grill. The couple married in 2012. While this is their first child together, McDonald is mom to a daughter, Zoe, and he is dad to two sons, Bridger and Sawyer, from their previous marriages. McDonald won her history-making sixth Tony in 2014 for her portrayal of Billie Holiday in Lady Day, a role she recently reprised on screen for HBO. She also garnered Tonys for her work in The Gershwins' Porgy and Bess, A Raisin in the Sun, Ragtime, Master Class and Carousel. Upcoming screen credits include the live-action Beauty and the Beast and film adaptation of Hello Again. Swenson received a Tony nomination for Hair. His additional Broadway credits include Priscilla: Queen of the Desert, 110 in the Shade, Lestate and Brooklyn: the Musical. He starred in The Pirates of Penzance this summer as part of Barrington Stage Company's 2016 season. Congratulations from all of us here at Broadway.com to the entire McDonald-Swenson clan!